The floor covering of a day care shares a similar design to the one in Andy’s room in Toy Story 2 and 3. The famous number A113 appears multiple times throughout the movie. Sputnik, the first satellite ever launched can be seen briefly during the movie. Carl Fredricksen’s walking stick shows up in the movie almost a year before the movie, UP was released. 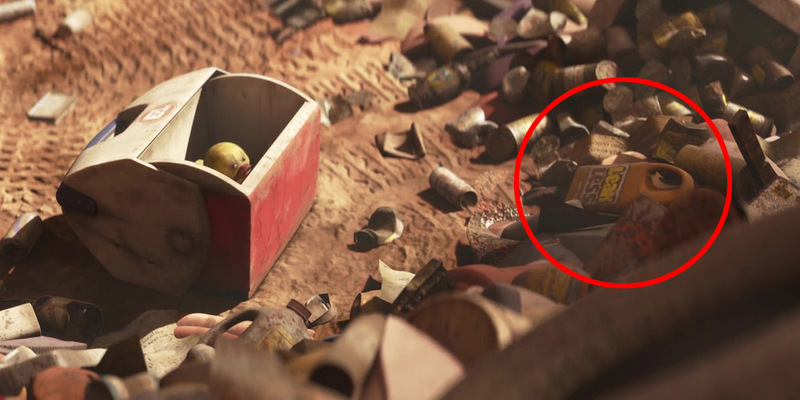 A product made by one of the Piston Cup sponsors in the Cars movies can be seen among the piles of garbage. 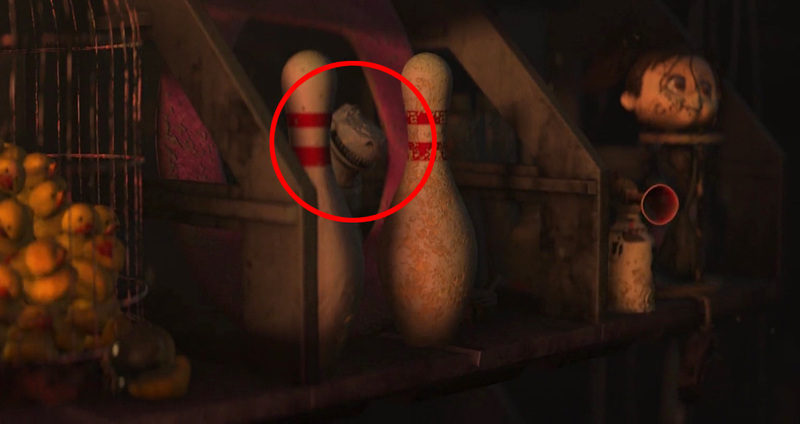 Rex from Toy Story makes a very brief appearance as part of WALL-E’s collection of “valuables”. 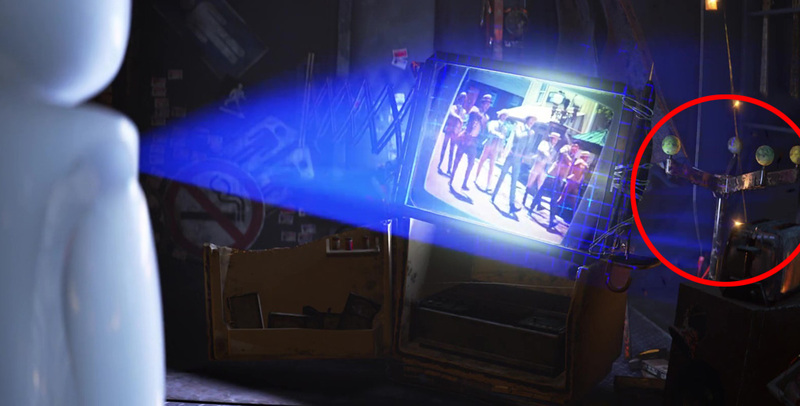 During a scene where EVE is scanning items in an attempt to fulfill her mission you can see her scan the engine block of the famous Pizza Planet Truck from Toy Story. 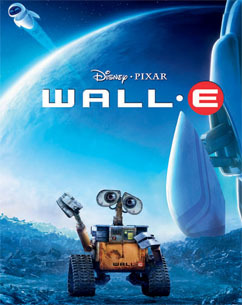 When WALL-E charges up, he makes the same sound effect as a Macintosh computer booting up. This is a reference to Steve Jobs, who was CEO of both Pixar and Apple.